Angus was born in Texas and his breeder is Karen L. Brooks Hodges. His mom Miina won Best of Breed 2017 at the Samoyed National in Ohio. His dad Houston is from Ohio and has many wins and titles. Angus is a friendly, loving dog who loves being outside playing with the girls. 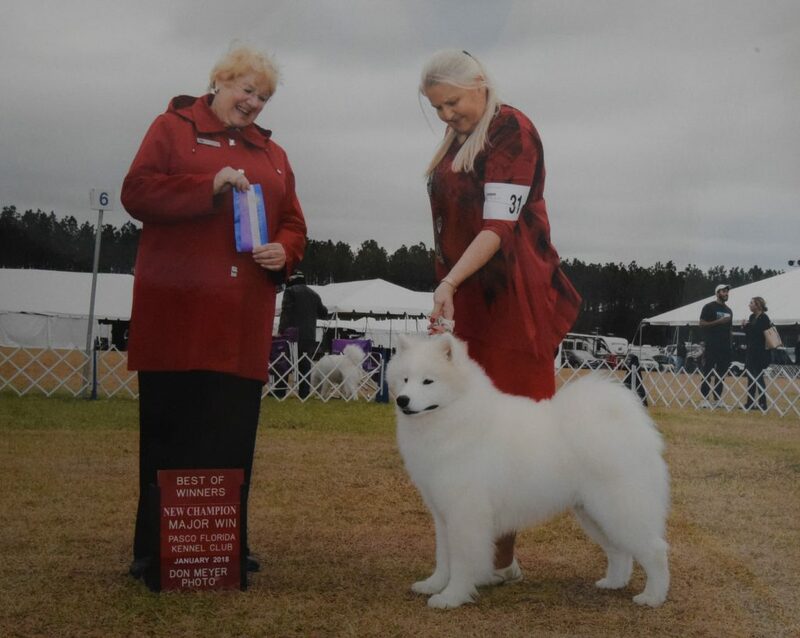 Achievements: Winners Dog for a 5 point major in Brooksville, FL to become a Champion!